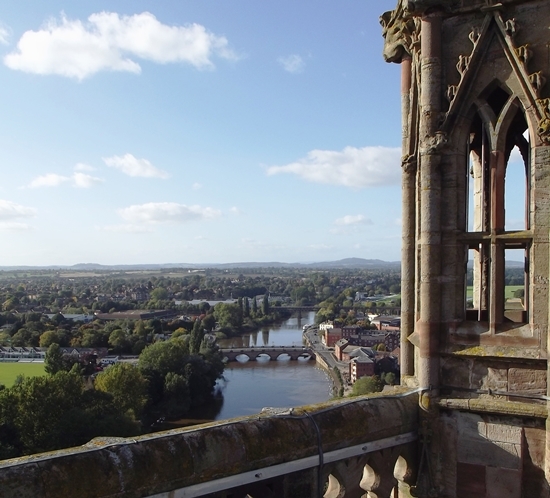 A beautiful 16 mile trip awaits passengers on the Severn Valley Railway through sleepy Worcestershire and Shropshire following the course of the River Severn. Built for the London & North Eastern Railway, 61306 Mayflower is one of two surviving B1 Class locomotives. The B1's were designed as mixed traffic locomotives capable of hauling express passenger trains as well as freight traffic. As powerful, go anywhere engines, the B1's worked across most of the UK rail network from East Anglia to Scotland. 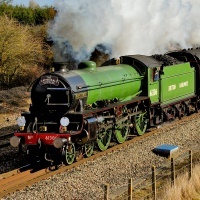 Mayflower was built in 1948 by the North British Locomotive Company in Glasgow but was delivered post-nationalisation and acquired the number 61306 by British Railways. She was first allocated to Hull Botanic Gardens Depot followed by a spell at Hull Dairycotes Depot before being finally transferred to Low Moor Depot, Bradford. She was the last B1 in service, her final trip was hauling the 'Yorkshire Pullman' from Leeds in September 1967. Mayflower was immediately purchased for preservation and was initially based at Steamtown in Carnforth. She was fully restored for mainline operation and worked a number of railtours in the 1970's. 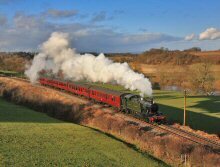 Acquired by Steam Dreams owner David Buck in 2014, she returned to the mainline in 2015 before being withdrawn for an extensive overhaul. Resplendent in the early British Railways apple green livery as she was originally given when delivered in 1948 she returned to full mainline operation in early 2019. Mayflower has two cylinders, 6 driving wheels, a firebox grate area of 30 square feet and can operate at 75mph. Whilst this locomotive is rostered for the trips listed, it cannot be guaranteed.